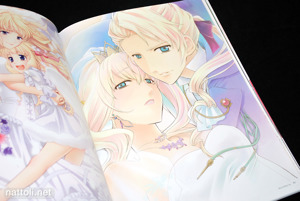 Sheryl Nome FINAL is once again A4-sized and 64-pages long, focusing mainly on illustrations. The cover and back cover art work (which are repeated inside) are both newly drawn along with with several other pieces through out the collection. 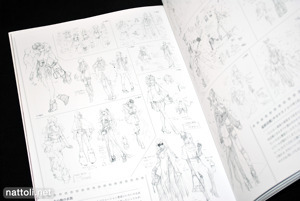 The first section of the book, titled Illustrations I which runs 14-pages, includes five newly drawn Sheryl art works. Illustrations II starts almost immediately after the first, but has a two-page spread of Sheryl screen captures as a separation. This second section does not include any new works, but instead features illustrations primarily from Newtype Magazine (but without the text, of course). Like the last Sheryl Nome book, this book includes a 3-page interview with Sheryl's voice actress Aya Endo, but this time, there isn't an interview with Sheryl's singing voice, May'n. There is a bit more filler in Macross Frontier Visual Collection Sheryl Nome FINAL than there was in the more recent Macross Frontier Visual Collection Ranka Lee. After the interview, there are three pages of Risa Ebata's Sheryl sketches, followed by a five-page original short story called Alcatraz Day. 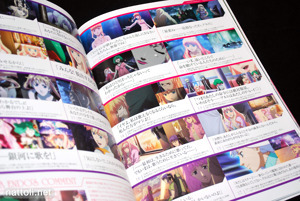 Before we get to more illustrations, there's even a 3-page screen shot gallery called Playback Sheryl on the Movie. Illustrations III is a 12-page tribute art gallery, with original illustrations by some of the Macross Frontier art staff and guests. Artists include Kikuya Megane (.hack//Quantum character designer), Hirokawa Tomo, Hidou Ryouji, Koyama Kariko (artist for Sheryl - Kiss in the Galaxy), Houtani Yukitoshi, Yamada Yuuko, Shinohara Kenji, and Kimura Takahiro. 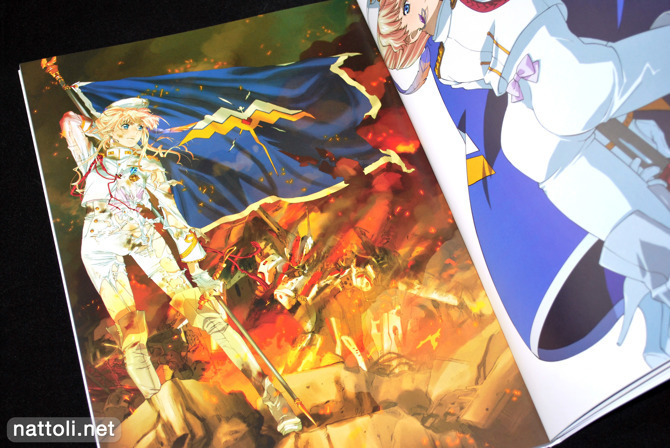 The final illustration section, Illustrations IV, includes DVD and BD art work, along with cover art from CDs and the 2011 Newtype Calendar illustration. The art book finishes with one more newly drawn work of Sheryl laying in roses. As continues to be the trend with these Macross Visual Collections, Macross Frontier Visual Collection Sheryl Nome FINAL is another winner, and I can only hope it won't be another full year before they release a Ranka version! Actually the last Ranka book that came out was the final one planned, there isn't anymore that will be released after the second movie official book came out. Sheryl beats Ranka yet again! Yeah all of the last batch of Ranka pictures were just group pictures of her and Sheryl, which were collected in the movie artbook, and the Sheryl artbook, so there actually isn't anymore official Ranka art out there. This is a seriously hot artbook. I already have it, I do not regret purchasing this, if you can find it online buy it! 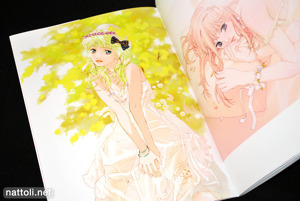 Have you been at all able to get your hands on the Macross Frontier doujinshis that Carnelian drew? 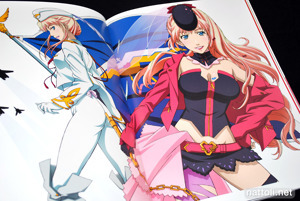 It seems she's quite taken with Sheryl Nome's design, given the vast amount of fanart she's drawn for that character, but I haven't seen her more recent Macross F doujin available anywhere, such as Midnight Car Radio Vol.3 or Synchronicity. 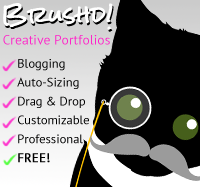 If you do get to review them on your blog, I'd be grateful. I see; did you then get Carnelian's full-colour Bayonetta doujinshi then?